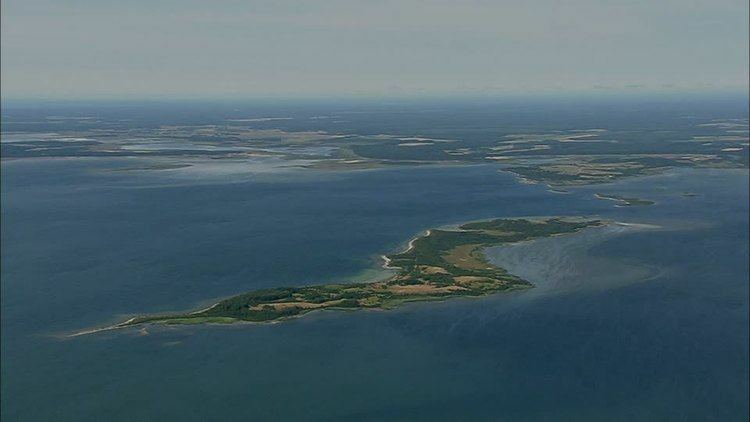 Hiiu County (Estonian: Hiiu maakond), or Hiiumaa, is one of 15 counties of Estonia, being the smallest county both in terms of area and population. It consists of Hiiumaa (German, Swedish: Dagö), the second largest island of Estonia, and several smaller islands near it. The county borders Lääne County to the east and Saare County to the south. In January 2015 Hiiu County had a population of 8,582 – 0.7% of the population of Estonia. Human habitation of Hiiumaa can be traced back to the 5th millennium BC. Mesolithic sites in Kõpu peninsula are presented by the seal-hunters' settlements. There are several well preserved grave fields of the Iron Age. 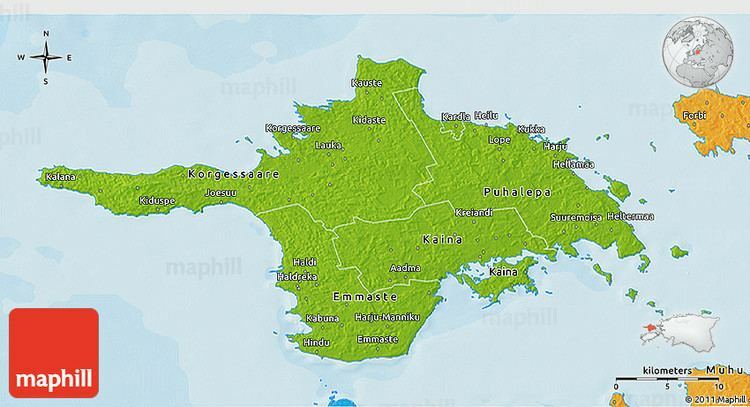 In 1228, the island was first mentioned in written annals under the name Dageida. In 1254, Hiiumaa was divided between the Livonian Order and the Bishopric of Ösel-Wiek. In 1563 Hiiumaa was annexed into Sweden. In 1710, as a result of the Great Northern War the island went under the control of the Russian Empire. During World War I, the German military forces occupied Hiiumaa in 1917. 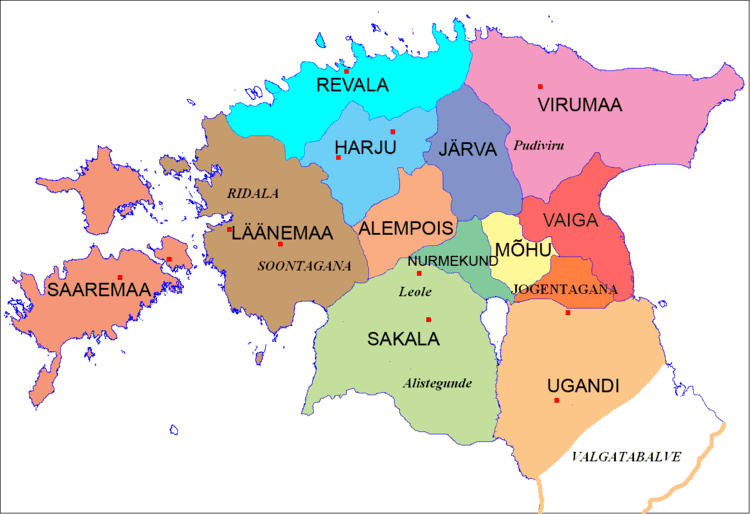 In 1918–1940 Hiiumaa was part of the Republic of Estonia, then until 1991 occupied by the Soviet Union. On demands of the Hanseatic League a lighthouse was built in Kõpu in the beginning of 16th century (previously known as Dagerort). It is considered the third oldest continuously operating lighthouse in the whole world, still showing its light to 35 miles to the sea. The best part of the farm architecture comes from the 19th century. Examples are Mihkli farming complex and Soera farm-museum with all the old national artefacts. The County Government (Estonian: Maavalitsus) is led by Governor (Estonian: maavanem), who is appointed by the Government of Estonia for a term of five years. Since March 2012, the Governor position is held by Riho Rahuoja. The county is subdivided into 4 rural municipalities (Estonian: vallad – parishes). The only urban settlement Kärdla is part of Hiiu Parish since 2013. 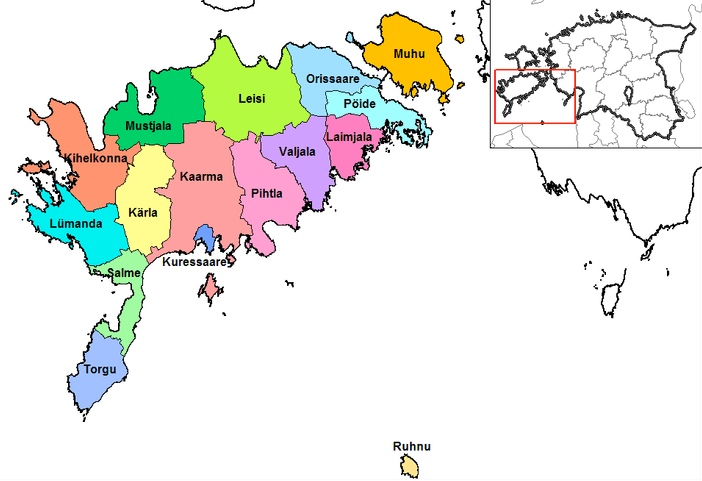 The county includes the islands of Hiiumaa (980 km²) and Kassari (19 km²) and a number of surrounding islets. The highest point is Tornimägi hill (68 m), the longest river is Luguse (21 km), and the biggest lake is Tihu Suurjärv (850,000 m²). In the landscapes there can be found pine forests, mixed spruce and deciduous forests, swampy thickets and juniper shrubs, coastal meadows and bogs. The most frequent tree is pine which makes about a half of forests. Pine is followed by birch, spruce and alder. In total, there are about 1,000 species of vascular plants, of which about 100 are under protection. The wildlife of Hiiumaa is remarkable. Out of 30 species of mammals, big game as elk, deer, fox, wild boar and lynx roam the island. There are about 250 species of birds on the island, 195 of them nesting. 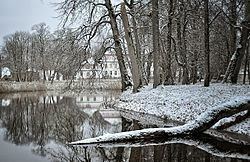 Among the Estonian counties Hiiumaa is the richest in forest – nearly 60% of the island are wooded areas. There are large marsh areas in the middle of the island. The marshes cover about 7% of its area. Cultivated land and settlements take about 23% of the area of the county.